Army Staff Sgt. Robert S. Griffith, of Hapeville, Ga., will be buried on Oct. 23 in Fairburn, Ga. The group remains of the other two soldiers which could not be individually identified -- Army Staff Sgt. Melvin C. Dye, of Carleton, Mich., and Sgt. 1st Class Douglas J. Glover, of Cortland, N.Y., will be buried at a later date. The men were aboard a UH-1H Iroquois helicopter on Feb. 19, 1968, when it was shot down by enemy fire in Laos. They were involved in an attempt to extract a long-range reconnaissance patrol in the mountains of Attapu Province. Three other American service members survived the crash and were rescued, but three Vietnamese Montagnards did not survive. Several hours after the crash a team was dispatched to survey the location and reported seeing remains of at least five people. Enemy activity prevented remains recovery at that time. The following month a second team was sent to the crash site but found no remains. In 1995, a joint U.S./Lao People’s Democratic Republic team traveled to the recorded grid coordinates for the crash site but found no evidence of a helicopter crash. The team then surveyed a second location in the area where they found helicopter wreckage and human remains. In 2006, a follow-on team was not able to resurvey the same site due to severe overgrowth and time constraints. Another team excavated the location in late 2007 recovering human remains, wreckage and military-related equipment. 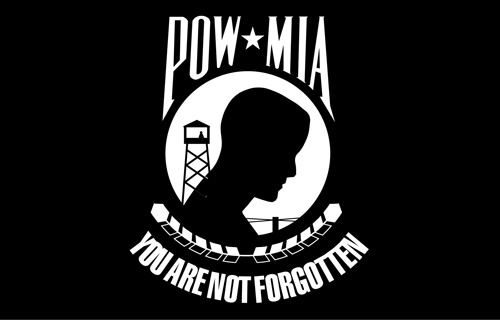 Among other forensic identification tools and circumstantial evidence, scientists from the Joint POW/MIA Accounting Command used dental x-rays in the identification of Griffith’s remains. Since late 1973, the remains of 938 Americans killed in the Vietnam War have been accounted-for and returned to their families with 1,708 service members still missing. For additional information on the Defense Department’s mission to account for missing Americans, call 703-699-1169 or visit the DPMO Web site at www.dtic.mil/dpmo.